Fund The Funeral gives you powerful resources to help you cover the final expenses for your loved one's. Unlock the power of crowd funding to help you through this difficult time of grieving. We are proud to provide this to our families as way to help relieve the stress of paying for the services they desire for their loved ones. 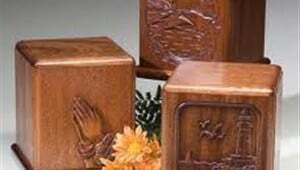 Free cremation is available for those who wish to consider whole body donation. We are now able to offer no cost cremation through our partnership with Science Care, the Nation's first accredited whole body donation program. Thank you for taking special care of my mother and the services. Your professionalism shows in each aspect of your business. This makes me so proud to be in the company of you Shun. Really. Everything was don with care and concern for my family and we appreciated all of it. Thanks again. Staff of Metropolitan Mortuary, Thank you for your professionalism and your support! You made us look goof! We appreciate all that you did and still do for us. Much love. Thank you so much Metropolitan Mortuary for the outstanding job don for the homegoing of our dad Archie, Sr. We are so thankful to the staff for being so loving, caring, and sincere form the beginning to the end. Your service was truly appreciated and valued. Thank you for helping us ship my uncle to India. You handled documents amazingly fast by following Hindu customs. TANA has your info for future families. My Uncle's soul is at rest and I am glad he found that peace at a place with caring people. To the Staff at Metropolitan, My Father was sent to Philippines without any hassle or delay, on time and exactly as I saw him at the Metropolitan Chapel. You answered every call as we needed information. Thanks to you for making things comfortable and for timely communication of every stage. Mr. Shun, we are still getting calls and text from so many people about how well you and your staff took care of my family and my dad. Even the church staff was impressed by your class act staff. Thank you so much for truly taking very good care of my dad. Text - Our family is most grateful for your kindness. Thank you Sir, you did a great job with his VA burial. (At the end of the open casket visitation) "Shun you and your staff EXCEEDED my expectations! Everything, every detail is excellent. We are very, very pleased. Thank you. Good afternoon Shun. We are all creeping forward and adapting to the life without dad in our presence. Thank you again for everything you and your staff did. The services you provided were outstanding. Text - Hello. Thank you for following up Ms. Ricks. My friend went with another mortuary, (mortuary name, city omitted). I really wished she would have gone with your option (Metropolitan). We were not satisfied with their work or service. Shun at Metro was extremely helpful and informed.